How AMT Can Help Fleet and Rental Car Companies? Every minute a vehicle sits on your lot unrented is money not being earned. Keeping track of fleet and rental vehicle repairs means a lot of time-consuming paperwork. What if your company could eliminate the need for lengthy, often duplicative paperwork with one cost effective mobile device based software? What if you could eliminate bottlenecks that keep you from turning over your fleet as efficiently as possible? AMT saves you time and money through rental car software that seamlessly facilitates the information gathering and storing process and eliminates paper altogether. Want to spend less time filing papers in your back office? 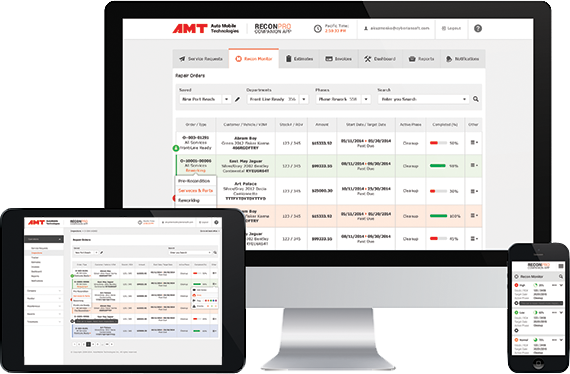 AMT’s ReconPro and ReconMonitor will organize, log, and distribute information for you. Management software starts with an accurate VIN scan. AMT uses the best possible VIN Scanning technology to ensure transmission of complete and accurate information. Why settle for rudimentary VIN Scanners that increase the risk of mistakes that can delay repairs and service payment? Our software allows you to enter and track repair information. You can submit the results of the initial inspection, which will follow the repair through documentation, work orders, authorizations, repair, and invoices. No paperwork. No missing information. No hassle. Document customer damage at turn-in. Document the work with photos and notes, all within the app. 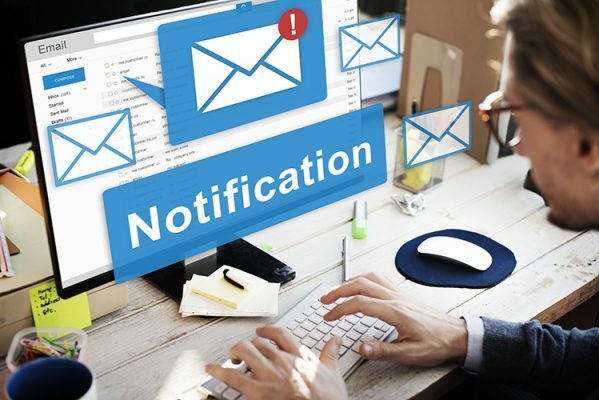 This cycle of form creation, submission, and documentation can occur thousands of times per day depending on the size of your fleet, or the number of rental cars in circulation. 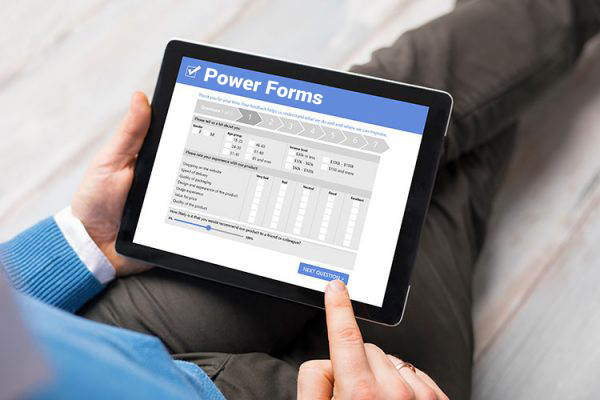 How can you ensure that these thousands of forms are all created, submitted, and documented properly? How can you ensure that operations run smoothly if you have to search through thousands of forms to find what you seek? Our reporting tools allow you to seamlessly track fleets, rental vehicles, specific employees, and repair orders with ease. The software is customizable to your unique needs, enhancing your convenience and effectiveness. Need to get a snapshot of your vehicles being repaired? Need to group them by service or location? Are you seeking out the bottlenecks to improve your rental car operation? 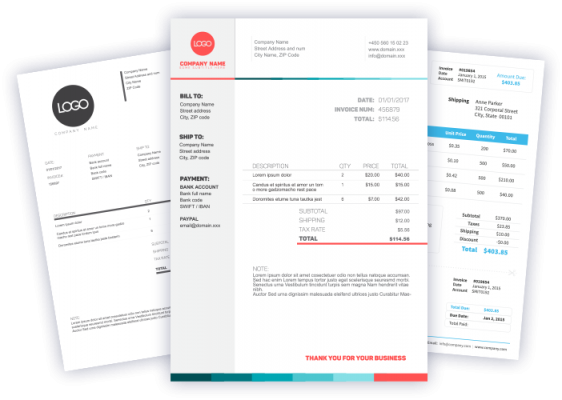 With ReconPro, you have the flexibility to pull reports and customize them to meet nearly any need. Powerful Reporting – Ditch the Spreadsheet! ReconPro and ReconMonitor can perform calculations at the touch of a button, straight from your smartphone. They can also create a report letting you know that status of every car in your fleet. 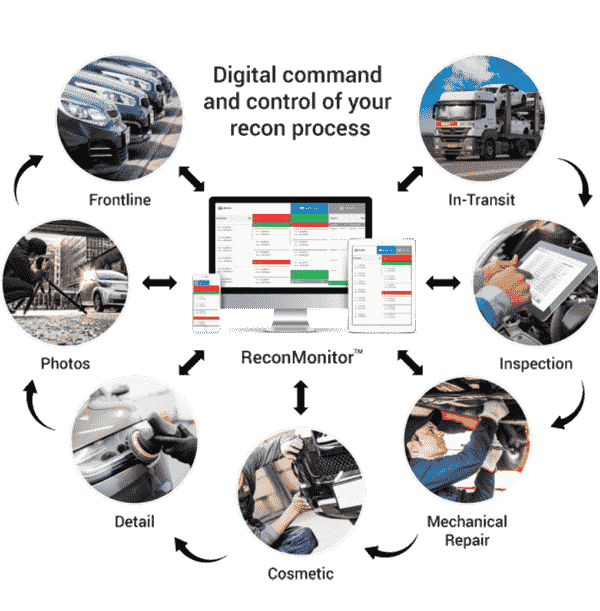 ReconMonitor will allow you to track vehicle stages, status and even locations such as mechanical repair, bodyshop, off-site repair, etc., and can also give you accurate turnaround times by service or by phase. 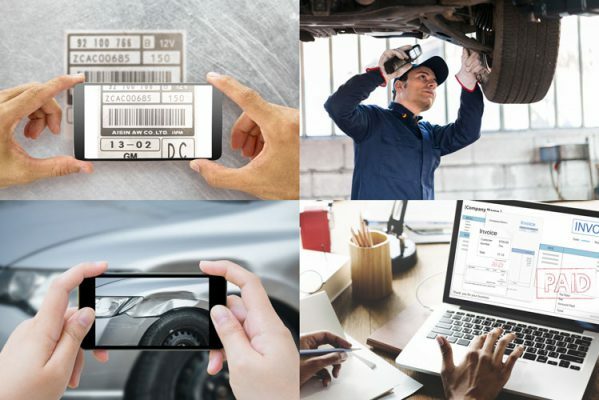 This is particularly important for fleet and rental car management companies that are managing dent repair, auto body repair, glass repair and other repair technicians sometimes all on a single vehicle. In the field, all jobs are unique. Some of your technicians or vendors might have different pricing, a different approval process, different commission pay plans, and different paperwork needs. With our software, you simply configure it once and ReconPro will automatically select the right process at the right time. With ReconPro, you can custom tailor your own workflows. In fact, you can set up as many unique workflows as you need. Our software allows you to add service-specific prices and discounts. Managing multiple technicians is especially important when you need to meet a deadline. ReconPro allows you the flexibility to assign multiple technicians to each service, and split work evenly or any way you want. This allows everybody from management to the repair technician know how much work everyone performed at any time. AMT saves you time and money through car rental management software that seamlessly facilitates the information gathering and storing process and eliminates paper altogether. Want to spend less time filing papers in your back office? 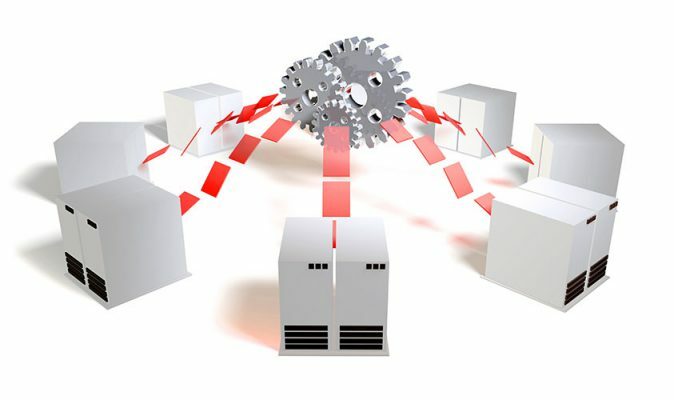 AMT’s ReconPro and ReconMonitor will organize, log, and distribute information for you. This cycle of form creation, submission, and documentation takes place as many times as a repair occurs, which can be thousands of times per day depending on the size of your fleet, or the number of rental cars in circulation. How can you ensure that these thousands of forms are all created, submitted, and documented properly? How can you ensure that operations run smoothly if you have to search through thousands of forms to find what you are looking for? Our reporting tools allow you to seamlessly track fleets, rental vehicles, specific employees, and repair orders with ease. Our reporting software is customizable to your unique needs, enhancing your convenience and effectiveness. ReconPro and ReconMonitor truly shine in their superior reporting. They can perform calculations at the touch of a button, straight from your smartphone. They can also create a report letting you know that status of every car in your fleet. ReconMonitor will allow you to track vehicle stages, status and even locations such as mechanical repair, bodyshop, off-site repair, etc. Our software can also give you accurate turnaround times by service or by phase. This renders cumbersome spreadsheets completely unnecessary. This is particularly important for fleet and rental car management companies that are managing dent repair, auto body repair, glass repair and other repair technicians sometimes all on a single vehicle.